Whew! What a conference! Really, it’s hard to say on any level that Matke/Think wasn’t better than the Denver ’07 Conference, at least from my perspective. We’ll do either a full podcast recap or a Review Gone Bad of the experience this week, as well as post our Reflex Blue Show with Ann Willoughby recorded before the trip. So there’s lots to say, and alas, as I plow through this Monday morning I find I have not the time to say it. So I leave you with this sketch, done for Friday, which was roundly defeated by our server and the Conference Wi-Fi’s double-team of destruction. Home, and with a proper scanner, I feel better about the result anyway. 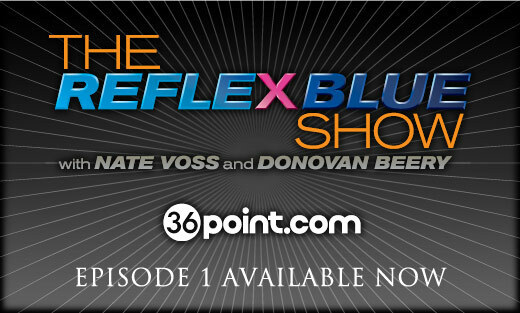 Welcome to the first episode of The Reflex Blue Show with Nate Voss and Donovan Beery! 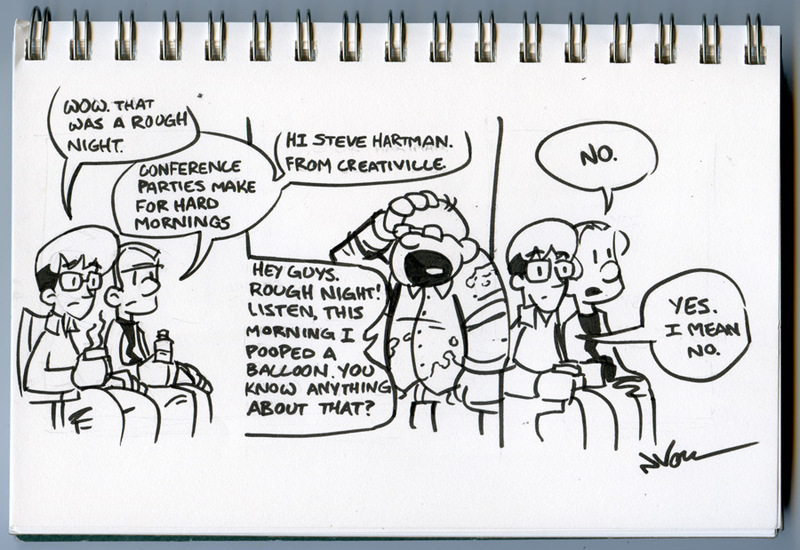 On this week’s episode, we welcome our good friend Steve Hartman of Creativille. Steve is a member of the AIGA Board of Directors and works a great deal with design education for K-12 when he’s not pumping out pure genius at his day job. It also helps that he’s one hell of a nice guy. Click here to download The Reflex Blue Show with Nate Voss and Donovan Beery, Episode 1 (16 meg) or click here to subscribe directly from the iTunes Music Store.